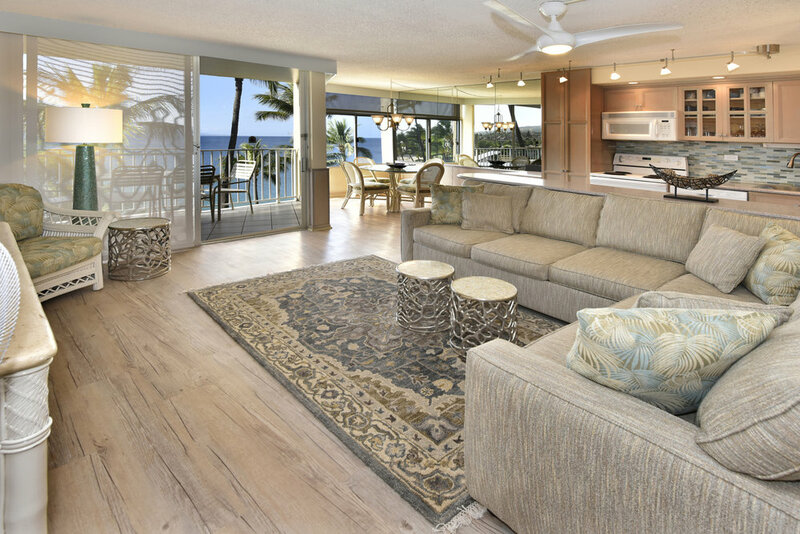 Hale Pau Hana is more than a lovely place to vacation — it’s your home away from home. Relax on the beach while the kids play in the surf, cook an evening meal on the BBQ with friends and family, blow the conch at sunset. Make memories. We are uniquely situated on Kamaole II, the best beach on Maui. Don’t haul everything across the street or pack up and drive — just walk across the grass to get there. “Welcome home!” you’re greeted on arrival. Some of our ‘ohana have been staying here for five generations. You’ll make and renew lifelong relationships at Hale Pau Hana. A decade from now, you won’t remember the anonymous hotels, the generic resorts, the “great value” condo “real close” to the beach. But you’ll remember Hale Pau Hana forever. The only way to stay closer to the beach is to pitch a tent in the sand. Each suite is fully furnished and has a well-appointed kitchen. Don’t just visit. Move in!